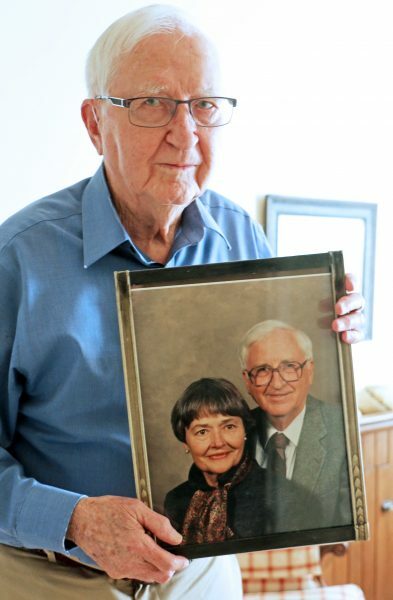 Larry holds a photo of his late wife Marcella. Beginning with a long courtship and throughout 63 years of marriage, Larry and Marcella MacLeod experienced a life together full of depth, adventure and, above all, love. Both small-town natives, they knew of each other because they were from neighboring towns, but they each moved away to pursue successful careers. It wasn’t until several years later that Larry and Marcella would come together as a couple. Larry built his legacy in the education and athletic arenas, starting out as an English teacher and eventually moving into athletics for more than 35 years at Minnesota State University Moorhead as the head men’s basketball coach, and later, the athletic director. Marcella found success as an administrative assistant initially working for the State Department in Washington, D.C., during WWII, then moving to Rochester, Minn., to work alongside the chief administrator at Mayo Clinic. Her path eventually brought her back to the Red River Valley, working at WDAY in Fargo. But it was in Moorhead, Minn., where the couple made their home, raised one son, and shared a wonderful life full of many travels and love. They were inseparable until 2011 when Marcella unexpectedly fell, breaking her hip. 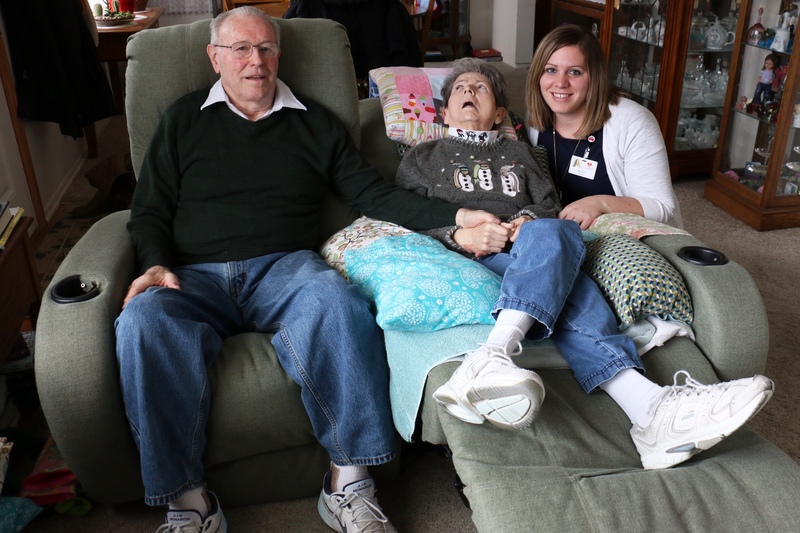 After the fall, she moved into an assisted living facility for three months, and her family made plans to move her into an independent living community with Larry after she recovered. Marcella only spent one week with Larry in that new home before experiencing a second devastating fall that broke her hip again. Larry recognized the new challenges Marcella faced meant he would be unable to care for her on his own, as they originally planned. 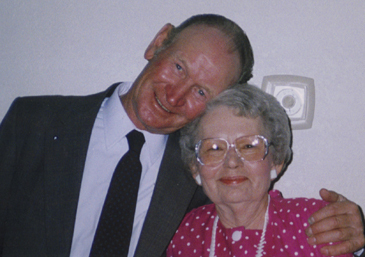 Instead, she would reside in an assisted living facility just down the road from Larry, and he sought the assistance of Hospice of the Red River Valley to care for Marcella in the final year of her life. 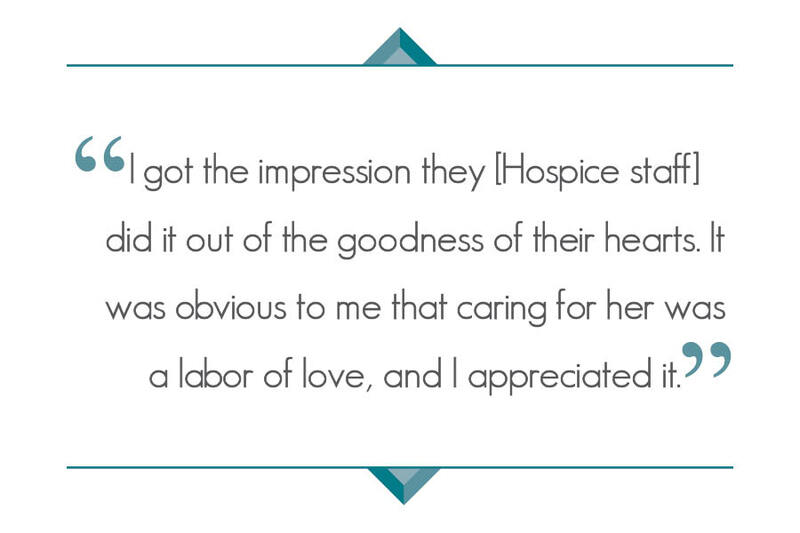 Even though Larry wasn’t able to be with Marcella as much as he wanted to because they lived separately, he felt comfortable entrusting Hospice staff with her care. He had confidence in their ability to care for her needs, some of which included personal cares, nursing assistance and chaplaincy visits. Hospice volunteers also provided companionship for Marcella.